As fundamental and important as every piece of aerodynamic and structural design has been for every stage of development of powered flight, nothing, but nothing has been as important as the power itself. In this series I intend to run through a number of historically significant power-plants and explain why they were important and some of the types that they used. I’m not an engineer by any means so the technical side of these engine profiles may be a little light. None-the-less I felt it may provide an interesting topic for a few blog posts. A working reproduction of the original 1903 Wright engine. 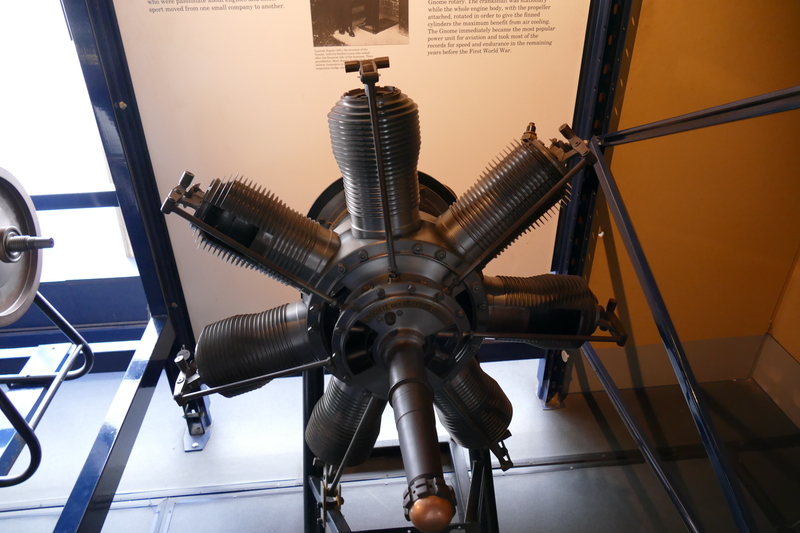 The first aero engine, arguably at least, is the Wright Brother’s engine which took their flyer in to the history books as the first powered flight on the 17th December 1903. The engine was a flat four cylinder in line type and was considered a crude product even for the time. Rather than using a traditional radiator for coolant, the engine simply burnt off its surrounding water jacket, which was then replenished via a long vertical water filled tube mounted to the aircrafts struts. It is widely thought that the coolant system was removed for the flights on the 17th December in an effort to save weight. While this would have made overheating likely and reduced the power, it is thought the engine would have run well enough for around five minutes. Positioning of the engine shown here on the Science Museum’s (very tricky to photograph) replica. Despite this unusual cooling system, the Wright engine was actually pioneering in one way, surprisingly the Wright Brothers were the first to use Aluminium in aeroplane design, as the engines crackcase was constructed from the lightweight metal. Interesting that even on the first flight the material that would shape aviation for years was already in use. Just like it is used now, Aluminium was chosen due to its weight saving abilities. The coolant system wasn’t the end of this engines quirks however, it had no fuel pump, carburettor, spark plugs or even a throttle. It did however exceed the Wrights required 8hp, providing the Flyer with 12hp. Fuel was gravity fed from a tank in the upper wing which then sat in a chamber beside the engine, when heated the fuel mixed with the air and vaporised, allowing it to easily pass through the manifold into the cylinders. The ignition spark was causes by an external battery, which was not carried during flight, once the engine was running a 20lb magneto was turned to provide electrical current during a run. Of course in terms of propulsion, Wilbur and Orville Wright drew inspiration from their bicycle building past and used a system of chains and gears in order to allow the engine to drive a pair of two bladed, 8 foot propellers. 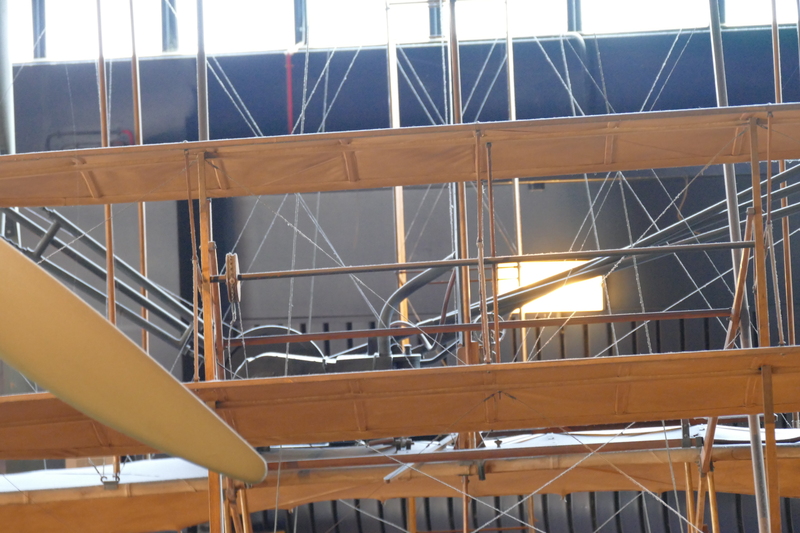 So this curious engine design coupled with bicycle transmission parts driving propellors was enough to raise the legendary Flyer into the air and make the Wright Brothers a famous name for the rest of time. As aero engines go, not the best, but arguably the most significant. The latter 1906 upright Wright engine. By 1906 the Wrights had refined their engine design process and came out with an upright four cylinder engine which could provide 30hp. Leon Levavasseur was one of the first French designers to branch out to aero engines, in 1906 he designed and built the Antoinette V8. This little engine provided 50hp and suited the aircraft of the day perfectly and became one of the most widely used aero engines till 1910. One of these engines powered Brazillian pilot Alberto Santos Dumont to a record breaking distance of 60m, this made him the first pilot to fly over 25m. The aircraft Dumont flew was the interesting designed Demoiselle, essentially a high wing with an engine on top, which the pilot sat underneath suspended in a frame. Another first powered by this engine was the first ever flight in the UK, carried out by American Samuel Cody, flying a distance of 420m in October 1908 The Antoinette engine, which featured two banks of four cylinders, featured spark plugs as well as being one of the first aero engines to utilise fuel injection. This engine featured an evaporation cooling system. 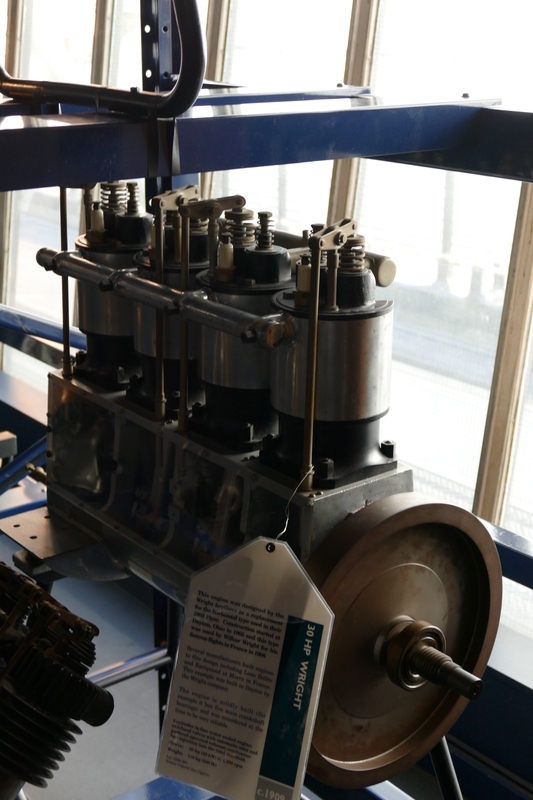 An Anzani 3 cylinder engine. Two years on from the Wrights first flight a French designer by the name of Alessandro Anzani began building two cylinder “V” engines for motorbikes, these later turned into 3 cylinder designs. Over the next two years he achieved a number of records riding bikes powered by his designs. 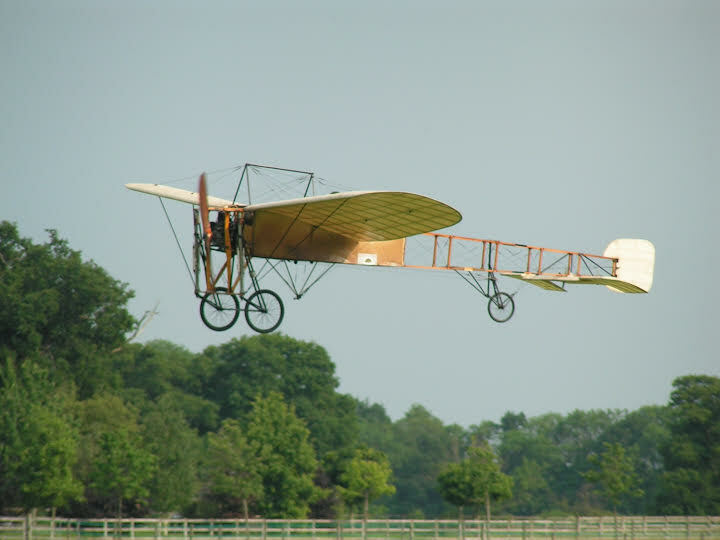 The Wright Brothers visited France in 1908 and this had sparked a wave of interest in aviation in the country. In response to this, Anzani decided to produce three cylinder fan engines, designed for aircraft use. Much like the Wright engine they featured aluminium crankcase. The cylinders were a single iron casting and the pistons were Steel. Most of these designs featured the central cylinder pointing directly up, with the other two cylinders offset at 60 degrees. The Anzani engines were air cooled and produced around 24hp. On the 25th July 1909, Anzani’s design, much like the Wright’s, got its own place in the history books. When Louis Bleriot succesfully crossed the English Channel in his Bleriot XI, powered by a three cyliner Anzani engine. 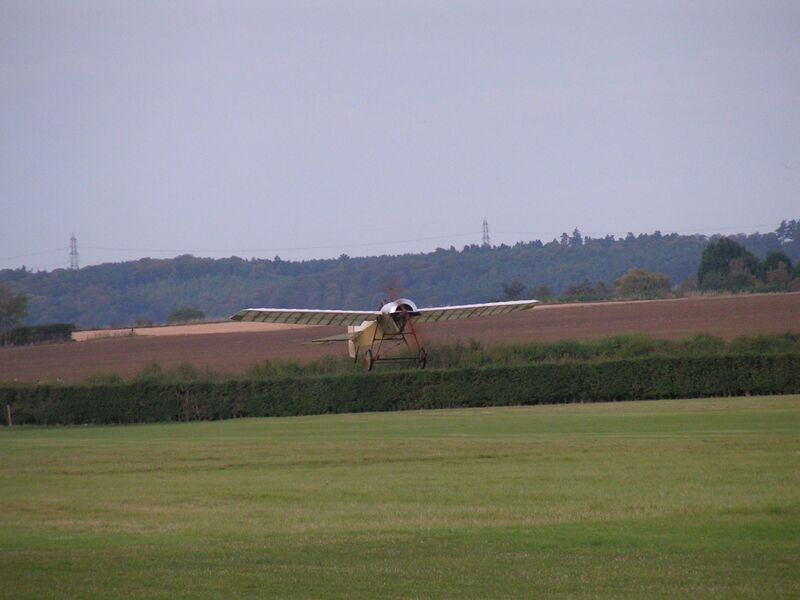 Shuttleworth’s Bleriot performing a “hop” in 2007. Powered by the oldest airworthy engine in the world, an Anzani 3 cylinder. Anzani went on to produce 35 and 45hp variants of this engine design and production kept on going until 1913. 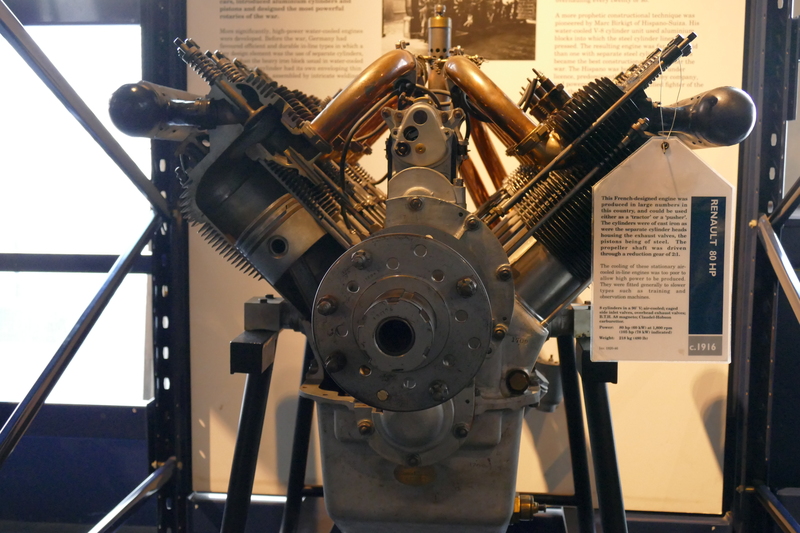 A number of airworthy examples of the Anzani engines still survive, with the oldest example, believed to be the oldest aero engine worldwide, powering the Shuttleworth Collection’s Bleriot XI. ‘Y’ versions of the Anzani design, treated as early radials, are fitted to a Bleriot XI at Old Rhinebeck as well as Shuttleworth’s Deperdussin. A Close up shot of the Deperdussin, showing its “Y” Anzani in place. A common feature of course, of the First World War and the years prior, was the unique Rotary engine design, in which an odd number of cylinders rotate around a fixed crankshaft. Surprisingly the Rotary engine design dates back as far as 1889, some 14 years prior to the Wright Brothers successful flight. Like many other engine pioneers of the period, Felix Millet first showed a 5 cylinder rotary built into a motorcycle wheel at Paris in 1889. This system of Motorcycle production was eventually placed into production in 1900. The design also went on to be used in cars in a 3 cylinder form. Three brothers, Louis, Laurent and Augustine Sequin created the Gnome engine company in 1906, building static engines for industrial use initially. Louis and Laurent soon turned their attention to aero engines, making an initial attempt to produce a 5 cylinder radial engine providing 35hp. At this stage however cooling problems were common in radial designs so attention was turned to rotaries, which through the rotation of the engine, provided their own cooling. In 1908, the first production rotary aero engine, the Gnome Omega, was unveiled at the Paris Automobile show. This engine was a 7 cylinder unit, providing 50hp and is still on display at the Smithsonian museum. The Omega was made using the latest materials available, a Nickel steel alloy, and components were machined from solid metal. Shuttleworth’s 1912 Bristol Type D Monoplane is powered by a Gnome 7 Omega 50hp engine. Soon enough the Sequin brothers designs started finding success, in 1909, when one of their egines was used to power Harry Farmans record distance flight, clocking up 180km. In 1913, the Monosoupape model was announced, this featured a single valve system rather than the previosuly used two. This 100 horsepower engine was lighter as a result and used less oil. One important feature of the Gnome engine, is that it had no throttle, instead the firing sequence of the cylinders is changed, so they only fire every two or three revolutions of the engine. This is what gives of the distinctive sound of the Gnome engine. By the start of WW1 Gnome engines had pretty much become the industry standard for aircraft engines, with both side using the same design, as Gnomes were licence built in Germany under the Oburersal. Shuttleworth’s Sopwith Pup with its 9C Le Rhône. The other major player in rotary engine design was another Frenchmen, Louis Verdet. He first started designing his own rotaries in 1910, but they saw very little use and didn’t make an impact. His luck was to change however, in 1912 when he released the 7C, which provided 70hp and was quite a popular design. These designs were found to be especially smooth running when compared to other engines of the time. The 7C’s success led to the creation of the Société des Moteurs Le Rhône, in late 1912. 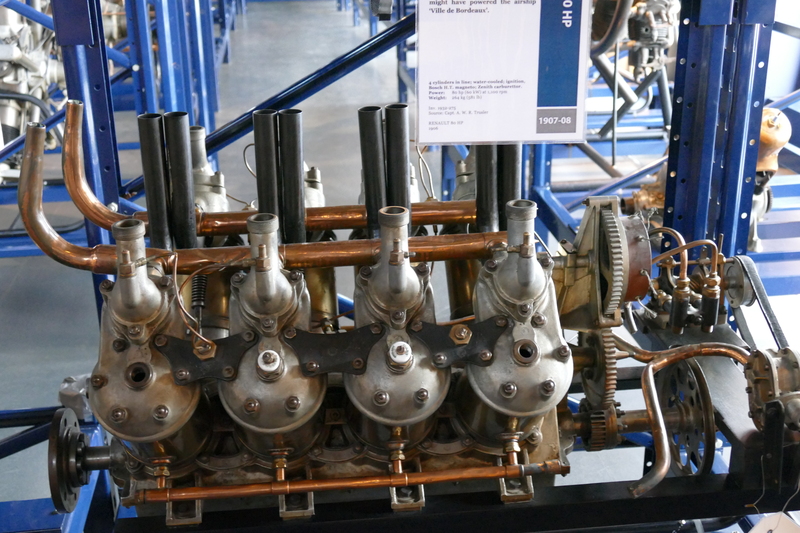 The 7C was developed quickly into a 9 Cylinder design, the 9C, which provided 80hp. Unlike the Gnome engines, the Le Rhône designs did have a throttle of sorts, though it was in fact a tricky balancing act, as fuel mixture had to be carefully adjusted with power reductions. It was this difficulty that led to the more familiar “Blipping” technique came in to use, where the engine is shut on and off for brief periods using a button on the control column. Though a late comer to the party, Le Rhône’s engines would go on to be one of the most important of the war. 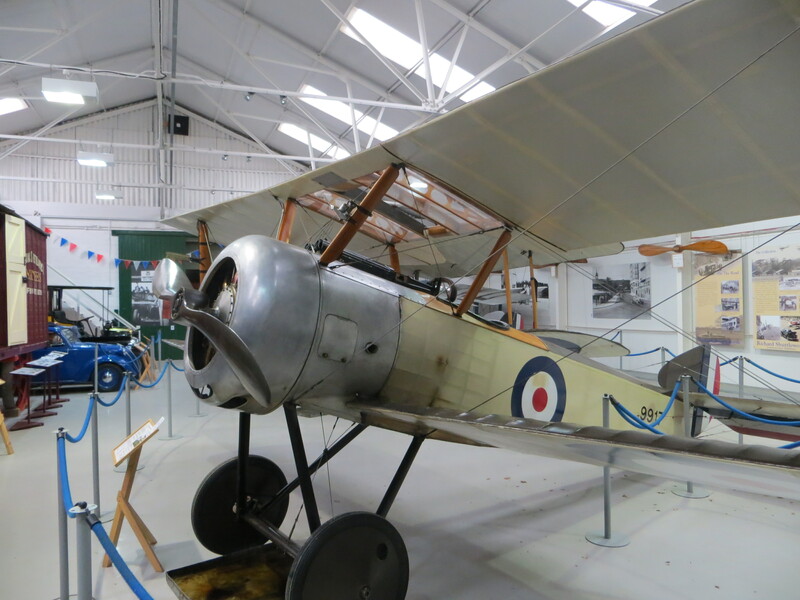 The Shuttleworth Collection’s Sopwith Pup is powered by a 9C engine and can regularly be seen displaying during the summer. Another Frenchman now, in the form of Pierre Clerget, primarily an automotive engine designer. Like many others though, with the dawn of flight he saw an opportunity to expand. His aviation engine business was set up in 1911. The first engine to be developed was an 80hp 7 cylinder design called the 7Z, this was followed in 1913 by a 130hp engine called the 9B. The 7Z was used to power versions of the Avro 504 pre war while the 9B didn’t see much use until the war had begun when it became a widely used unit. Like the Le Rhône the Clerget engines featured a throttle control and were unique in that a large amount of the engine components were made from an aluminium alloy, including the pistons. In practice Clergets were found to be very reliable and easier to maintain than the other major Rotaries at the time. A large amount of the Clerget story will be told in the next chapter of this engine series. An original Be2c at Duxford. This aircraft is fitted with an R.A.F 1a engine. 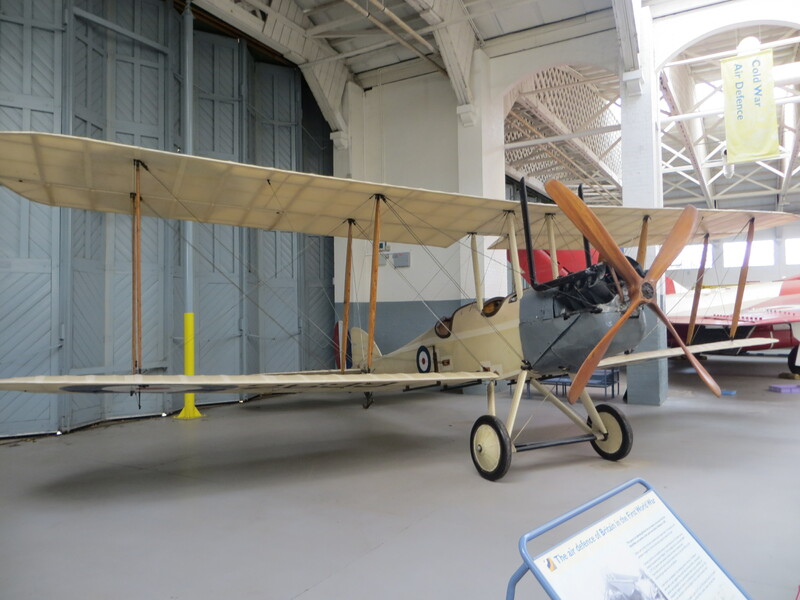 Like much of the British aviation industry leading up to the First World War, a large amount of the projects were designed under the watchful eye of the Royal Aircraft Factory. Engine design was no different, with a series of V8s being used for the BE and RE series of aircraft. The main pre war engine to come out of the factory was the RAF 1, a 90hp power-plant based on a 70hp Renault design. 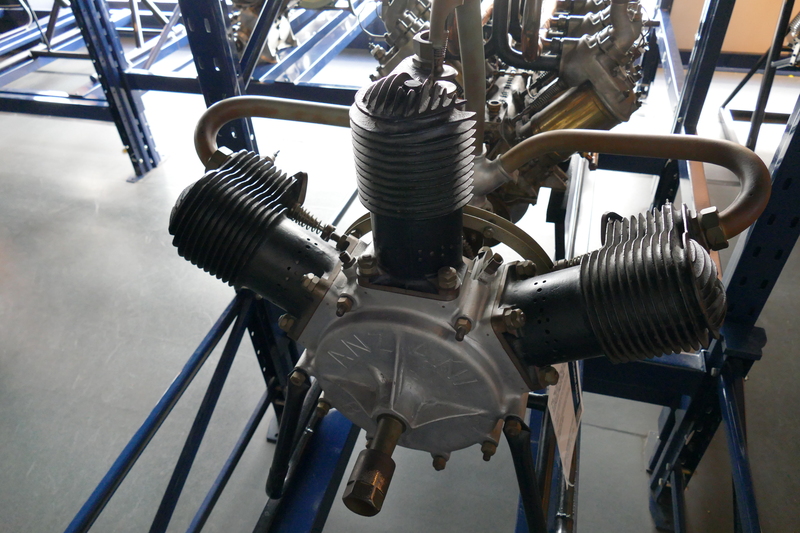 The Renault engine was initially used to power the early C variant of the BE2. 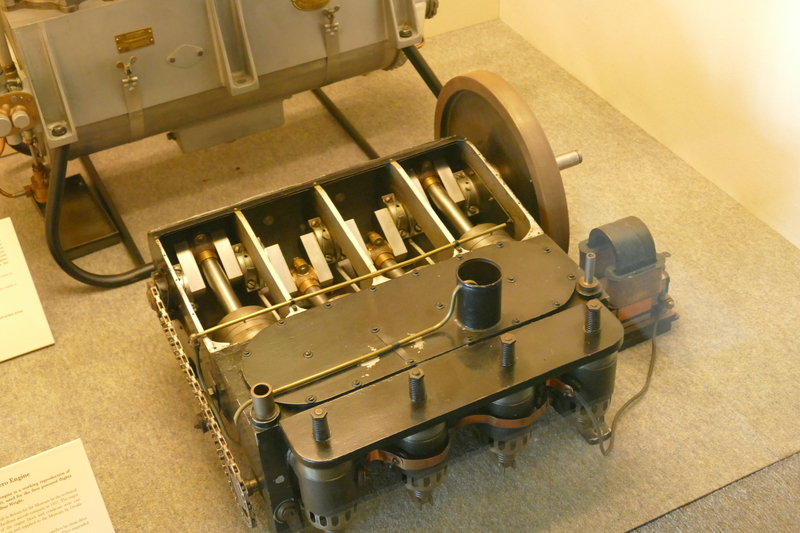 The Renault engine from which the 1A was developed. As is a common theme with these engines the crankcase was constructed from aluminium alloy, with cylinders made from cast iron as are the pistons. The resultant engine from these improvements of the French design landed with a smooth running engine that provided 20 more horsepower than its forerunner, an engine which went on to power the BE2 line for a number of years. By the time signs of war started to show in 1914, it seemed clear who the main contenders were going to be in engine design, Gnome rotaries looked set to be used on both sides, with the Sopwith Tabloid using such an engine, with the Le Rhône designs also seeing wide use in pre war designs like the Avro 504. In the UK the 1A engine had been given to the BE2 design which looked set to be an important aircraft for the nations hopes. Anzani went on to provide some impressive wartime engines, which will be discussed in part two. Antoinette, though once a big name had faded away, with only a few aircraft still being produced with their power plants. 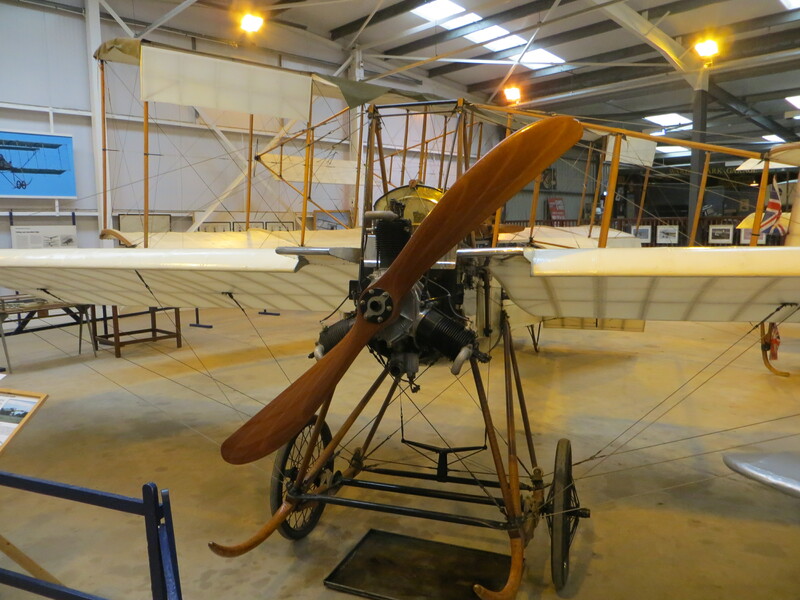 As for the Wright Brothers, much like their aircraft, their engines played little part in the First World War. Part 2 of this aero engines series will look at the next 6 years in engine technology taking aviation from WW1 to the 1920s. Great series of articles about teething age of aero engines, well done! I think its worth to mention, that in that period the first jet airplane has been build (by Henri Coanda in 1910) and surprisingly it flew. As you can imagine the jet engine and wooden frame couldn’t be a good compilation, so it was the first and last flight of Coanda-1910.